Does HBF Health Insurance Provide Value for Money? HBF Health Insurance is one of the largest member health funds in Australia, with more than 70 years’ worth of experience, and over 900,000 members. This Western Australia based health fund is a members-owned, not-for-profit organisation, which offers a wide variety of health insurance products, from budget cover to comprehensive health protection. The fact is that taking out private health insurance sooner rather than later can save you a lot of money in the long-term. More than that, it also gives you peace of mind knowing you and your family will be taken care of should you become ill or injured. ComparingExpert does not currently have access to this provider. Visit www.hbf.com.au to request a quote and compare their price and benefits to the Australian private health insurance companies we have access to. HBF’s health insurance include 4 Hospital Only insurance options, each designed to suit you at a different stage of your life. They also offer 7 Extras Only insurance options, from simple dental cover to comprehensive general treatment cover. Alternatively, you can choose to combine HBF hospital and extras cover by selecting one of their package options. HBF Hospital members are fully covered for 82% of medical treatments in Western Australian hospitals. On average, HBF covers 94.4% of the total hospital bill, including accommodation, theatre, prosthesis, and in-hospital pharmacy fees in Western Australia. If you switch from another health fund to HBF, you won’t have to re-serve any waiting periods. Visit a Member Plus dentist in Western Australia and enjoy access to a range of dental benefits each year. Members can visit one of several Member Plus optical stores in Western Australia and enjoy substantial discounts on frames. Bundle and save: If you combine home, car, or travel insurance with your HBF health cover you’ll enjoy significant savings on premiums. Children are covered for free on an HBF family policy. You gain free access to their Pocket Health app to help you achieve your health and fitness goals. HBF’s 4 Hospital Only insurance options include Young Saver Hospital, Mid-Hospital, Healthy Saver Hospital, and Top Hospital. An overview of these policies show that all four options include cover for medical procedures, theatre fees, non-PBS hospital pharmacy expenses, psychiatric care, and medical gap cover through their GapSaver offering. You can take out Extras to cover the expenses of additional treatments that aren’t covered by a Hospital Only policy. Choose between Basic, Mid-Level and Premium Extras options to provide you coverage for things like dental, optical and ambulance services. Low coast cover, from $5 per week. Covers general dental and urgent ambulance. Basic cover for general dental services only. From $2.95 per week. Major dental, optical and physiotherapy, chiropractic, pharmacy, podiatry and remedial massage. Annual limit of $400 per person. No gap to pay for kids preventative dental. Choose 10 extras services from a list of 19 options, so you can tailor extras to suit your specific needs. A more comprehensive extras option with 20 health services and 70% back on dental at HBF Member Plus dentists. The highest level of Extras cover available from HBF, with generous annual benefit limits on 39 Extras services. HBF also gives you the option to benefit from both their Hospital and Extras cover by choosing one of their four Hospital and Extras combo options. Each package option was created to suit you at a different stage of your life: Single, starting a family and retirement. From $17.70 per week. Perfect for fit and healthy young singles who don’t want to pay for things like maternity and joint replacements. Cover for 5,000+ hospital treatments and seven Extras. Fully covered for a shared room at a Member Plus hospital. From $29.35 per week. Designed for growing families who wants cover for maternity, IVF, and full cover for a private room when giving birth. Cover for 5,000+ hospital treatments and nine Extras. No gap to pay for kids’ preventative dental at HBF Member Plus dentists. From $38.30 per week. Comprehensive hospital cover ideal for seniors, either single or couple. From $90.55 per week. Australia’s most comprehensive level of Hospital and Extras, offering you complete peace of mind. GapSaver covers the ‘gap’ between the total costs of your treatments and what’s covered under your policy. 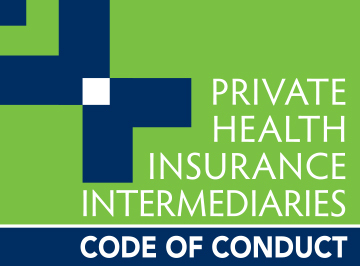 It consist of four levels of cover and can be added to most Hospital, Packages, or Extras policies. You’ll have a little money set aside to use for out-of-pocket expenses for hospital treatments and eligible Extras treatments, like dental services. GapSaver benefits accumulate quarterly, year after year, and they don’t expire unless you no longer have HBF cover. You can choose to automatically get your GapSaver benefits when you claim, or on a claim-by-claim basis. If you’re entitled to the Australian Government Rebate on private health insurance, you could accumulate more GapSaver dollars than you pay in premiums. GapSaver can only be used on eligible services that are covered on your policy. Only GapSaver dollars accumulated at the date of service can be used towards your claim. If your membership is un-financial at the time of treatment/service, for instance if your premium payments are in arrears. If you claim for services/treatments performed outside of Australia. If you claim for procedures/treatments that Medicare doesn’t offer a benefit for, like elective cosmetic surgery. If your claim is not lodged within two years of the date of service. If you claim for treatments/services performed during the waiting period on your policy. If you claim for treatment that’s excluded from your health insurance policy. If it could be covered by workers’ compensation, third party insurance, or some other legal right. Care and accommodation in nursing homes. If it’s for a treatment/service that hasn’t been received yet. If it’s for out-patient treatment/services. Most services and benefits (excluding accidents): 2 months waiting period. Pre-existing conditions and pregnancy: 12 month waiting period. Your excess must be paid when you are hospitalised overnight and only needs to be paid once per year per policy member, up to twice a year on a family policy. You can choose a higher excess to lower your premiums, or a lower excess and pay higher premiums. What is HBF “Run for a Reason”? HBF Run for a Reason is the fitness event regularly hosted by HBF all across Australia. These walking and running events aim to encourage individuals to participate for a specific reason that’s most important to them, like losing weight, improving their fitness, or raising funds for a charity that they feel strongly about. HBF also helps its members prepare for the HBF Run for a Reason with eight weeks free training with HBF Fitness. HBF Fitness gives you 17 outdoor locations and four group fitness levels to choose from. What are the HBF benefits? 15% off Rival Swimwear and Running Bare sportswear. HBF offers a diverse range of health insurance products, suitable to young singles and couples, growing families and seniors. To make sure you’re getting the best possible cover at the best possible price, it might be worth comparing HBF to other top health insurance companies in Australia. I am writing this email inquiry since the website’s price comparison window didn’t submit the info I inputted. What would your quote be for a four-person family (2 adults, 2 kids) to sign up for the ‘Young Saver Hospital’ option and just basic GP visits (60% coverage of GP costs)? We live in NSW. I presume that your coverage would apply to us here as well. I’d appreciate your reply. Thanks! Thanks for reaching out. When filling in the above quote form be sure to provide a relevant contact number as a health insurance specialist will give you a call and take you through the companies and cover types most suited to your particular situation. In the meantime, you can read our review of Australia’s Best Family Health Insurers or perhaps you would like to consult the privatehealth.gov.au website for a complete list of health funds and their respective offerings. Could you please advise what the waiting period is for IVF services. I live in NSW and would be using a NSW hospital, would this also be covered? Generally, most private health funds will apply a 12 month waiting period for assisted reproductive services, like IVF. However, HBF does state on their website that if there is no pre-existing condition that has led to the need for IVF, your waiting period might only be 2 months. HBF’s Smart Saver Twin Pack provides cover for IVF treatment. Premiums start at about $29.35 per week as at February 2018. This does not include the premium increases that apply from 1 April 2018. Medicare rebates normally cover a portion of the costs of each treatment cycle, up to 75% of the standard fees charged. Private health insurers usually cover the costs associated with in-hospital treatments and some of the IVF related medications, depending on your insurer. No one can give me a simple answer to the below questions. I am a HBF member, number is 28788***, with a single prime health policy. Appoint with Psychiatrist only. Who relate to HBF. Kindly give understandable answers to above. From your question, it seems you’re wanting to know what HBF will pay for psychiatric appointments (first time, as well as follow-ups) and what out-of-pocket costs you can expect. • Psychologists focus on treating emotional and mental suffering and cannot write prescriptions. You might have regular appointments with your psychologist to address specific issues. • Psychiatrist are trained medical doctors that can prescribe medications. You’ll probably only have to visit your Psychiatrist every 3 to 6 months to manage your medications. As an HBF Prime Health Package holder, you can claim on Clinical Psychologist assessments from $79 up to a maximum of $720. Consultations and individual treatment from a clinical psychologist will provide a benefit from $44 up to a maximum of $720. According to their website, HBF only provides cover for psychiatric care and treatment when carried out in a hospital. Of course, as an HBF client, they would be the best people to contact. Please call them on 133 423. There is generally a 2-month waiting period for clinical psychologists and psychiatric care. Does the 10% off gym memberships apply to all gym memberships and what are the healthy living programs mentioned? HBF Momentum members get 10% off their Snap Fitness gym memberships and up to 15% at Jetta. Please visit the HBF website for the types of services included in their Healthy Living Programs. I am interested in applying for insurance. I am a Canadian on a working visa in Australia. Can I apply for insurance under these circumstances? How much would it cost me? Does the insurance cover me in Australia, Canada, Indonesia or anywhere I travel to? Is there a limit of how much you can use the insurance in a year/month? Do I send the claims to you or does the hospitals etc fill out the claim? I’m going to try and answer all your questions, but if I miss anything please feel free to call 1300 786 328 for a specialist to assist you. 1. Yes, you can apply for private health insurance when on a working visa in Australia. In fact, since 2009, if you apply for a working visa you are required to apply for at least a minimum level of health insurance prior to being granted a visa. 2. The cost of health insurance depends on the type and level of cover you choose; Hospital only, Extras only or Combined Hospital and Extras. 3. Generally, private health funds in Australia covers you Australian-wide but will not cover overseas medical expenses. 4. Health insurance policies have an annual limit on the maximum benefit you can claim for. The limit is dependent on the level of cover you choose; basic, medium or comprehensive. 5. You can claim health insurance Extras usually on the spot by swiping your membership card at the place where you’ve received treatment OR go online and claim via the health fund’s online claim section OR fill out a claim form (which you can download from the insurer’s website), attach your invoice and receipt and post it to the insurer. For in-hospital expenses, the bill will generally be sent straight to your health insurance provider. 6. Please fill in the quote form above for a specialist to give you a call and help you compare which health fund will give you coverage for the items you’ve listed. Or you can start your search by reviewing the top 10 health funds in Australia.